Laura Hodgkins, 30, quit her her job in marketing to take on a tenanted farm with her husband, Andy, 31. 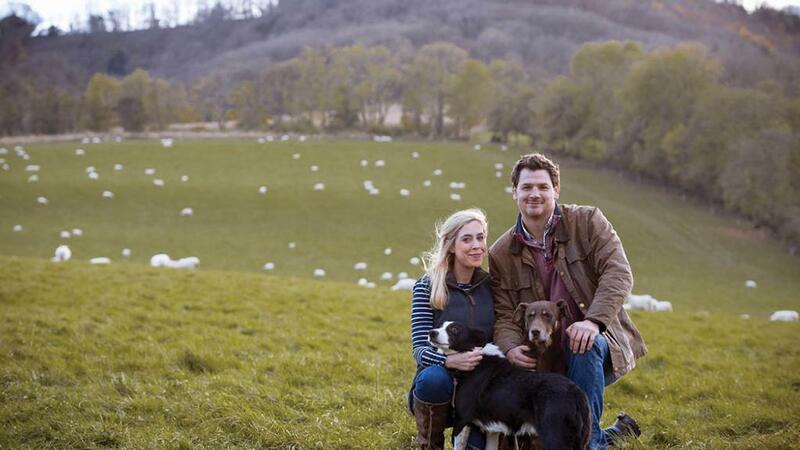 Here she tells us her reasons and how she has found her place in the farming world. 1) Where and what do you farm? 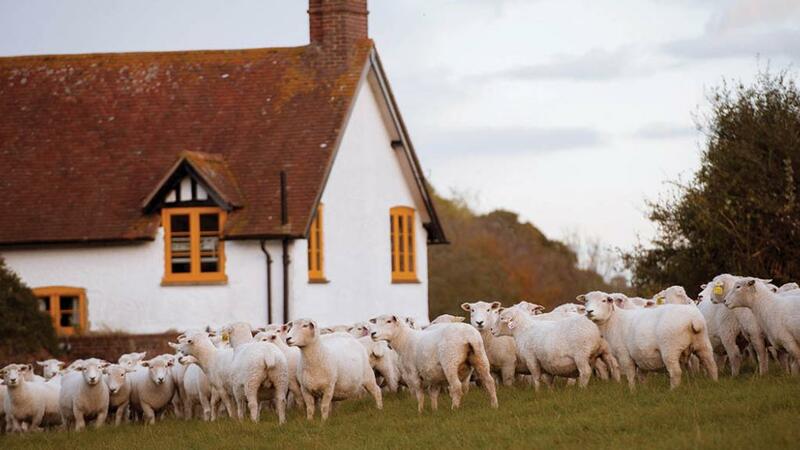 Our tenanted farm, Cocking Hill Farm, is part of the Cowdray Estate. Situated on the South Downs in West Sussex, it consists of around 700 acres. It is mainly chalk grassland, rising up to 800ft above sea level. We run a 2,000 head flock of New Zealand Romneys on an extensive outdoor system, predominantly for breeding stock. The farm is run in conjunction to Locks Farm (Andy’s family farm). This is the main base for the stud flock (Wairere UK) and also has New Zealand Romneys aswell as a pedigree herd of Sussex and Belted Galloway cattle. My husband had been working on the family farm and was on the lookout for opportunities to expand the breeding business. When we saw that a 700 acre farm was available on a 12-year Farm Business Tenancy just 12 miles down the road, we jumped at the chance to apply for it. We tendered for the farm in the summer of 2016 and in September were thrilled to find out that we were successful. We moved in the following month - yes, it was definitely a bit of a whirlwind. What did you do before you farmed? I worked in advertising and marketing agencies most recently as a Project Manager. It’s been a bit of a jump from office to farm life. I went to university in Nottingham and did Graphic Design. I then went straight into an advertising job in London, working my way up through the industry over the course of seven years. Did you have any farming experience before hand? If not, how did you build that experience? None. Until I met Andy I had barely been on a working farm before to be honest. We got together nine years ago, and I would help out around the farm on weekends and actually used to take time off my full time job to do so, especially around lambing time. Little by little I suppose I picked up experience over the years by spending time around the farm. When did you decide to quit and why? We knew that tenancies of this scale and longevity didn’t come up often. 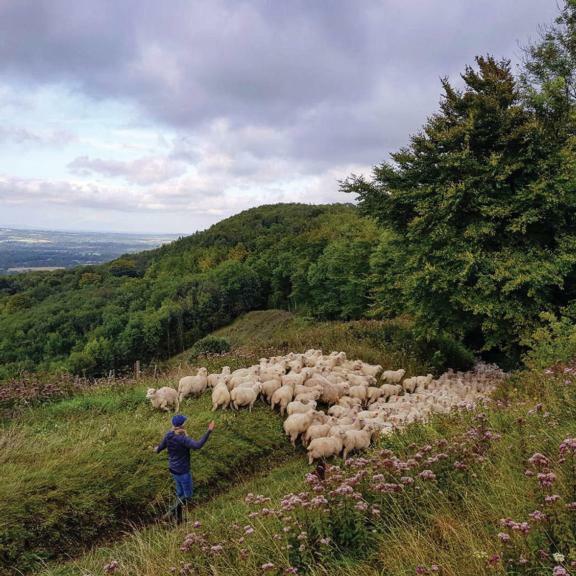 When we applied for it, we made the mutual decision that if we were lucky enough to secure it then I had to take the leap and go full time on the farm. It was really nice to be able to move into the farm together and work as a team from the start, rather than going into an operation that has already been set up. What is it about farming that you like? Being outside in the fresh air most of the day is the main thing I love. I feel so much healthier than before, both mentally and physically. The practical side of the job really suits my personality as well – I love the problem solving you have to do on a daily basis. It’s also incredibly rewarding working for yourself and knowing that when you get it right, you are the one benefiting directly. I hate not knowing how to do something, so I have really struggled with that side of things. Having to learn everything from scratch has been really frustrating. Stupid things like not knowing how to set up and put away a Prattley, or learning to drive and reverse the tractor. There were a few sulky moments in the first few months because I had gone from a job where I was confident in my abilities, to one that I was second guessing even the smallest of tasks. Did you have support from family and friends in the transition? I have been so lucky. My friends and family have been so supportive throughout. They have been really vocal about how proud they are of me for giving it a go and they’ve actually all been to stay and help out on the farm. One friend actually came for the whole of lambing and we couldn’t have managed without him. Similarly my parents and brother, who don’t come from any sort of farming background, have helped out no end. Whether it be by sending Andy and I back to the farm with loads of frozen home cooked meals or helping to paint the house, through to actually moving sheep. Our new neighbours have also all been fantastic and so welcoming – it’s really reassuring to have such a nice sense of community in the area. Not to mention everyone at Cowdray Estate itself, we’re lucky to be part of an estate that we share values with. There are so many elements I love. I think mainly, it’s working for yourself and being able to help shape and grow the business – it's hugely satisfying. It’s quite an interesting time to be in agriculture and I’m enjoying the opportunity to learn something completely new. Also, when you’re up on the hill moving sheep in the sunshine you can’t really beat it. It doesn’t feel much like a job on days like that. There have been moments where I’ve thought to myself, ‘I’m not cut out for this’, but for every moment like that, there will be a good one where I have to remind myself I’m incredibly lucky to have this opportunity. I think I had my darkest moments in the first few months where it would be hammering it down with rain and I would be covered in mud taking silage bales out. Then I would see my friends on Instagram or Facebook in London and Brighton, getting ready to go out for drinks – glammed up in full make up. I would torture myself by scrolling through photos and feel almost ‘homesick’ for my old life. But you just have to weigh up the pros and cons and to be honest, I think from a ‘work, life, balance’ perspective I definitely have it better than I did when I was working 10-hour office days and then commuting home. Have you learnt anything from being in the industry? Was it different to how you expected? The main thing that has stuck out to me since being in farming is how detached the consumer is from the food producer and I think, as an industry, farmers need to do something to tackle this. I have been surprised about how all of the different areas of the agriculture industry work separately in their own silo and don’t tend to integrate that much. That will perhaps change in the near future due to the changing nature of the industry at the moment whilst all of the Brexit negotiations are going on. What does your future in farming look like? I’m one of the Tesco Future Farmer Foundation candidates this year and I’m hoping that will open a few doors for me as an individual, and maybe even us as a business. I would really like to see myself being able to utilise my past experience in marketing and combine it with my new found career in farming – but I’m just not quite sure how yet. In terms of goals, I would love to grow my blog, Girlaboutthefarm.co.uk, more, and maybe even start a podcast. As a business Andy and I are really keen to ensure that we are staying progressive with our approach to farming and this will probably mean diversifying the farm in one way or another. Aagain, we're not quite sure how yet – but we’ll certainly keep you posted!